Building and construction toys, blocks in particular, are my absolute favorites for both my son AND my daughter. They are the ultimate open-ended creativity toy and I love that my children play with them for huge chunks of time, all while developing math, problem-solving, and spatial thinking skills. Don’t forget – you can check out all 10 of our 2015 Gift Guides here! Mega Bloks First Builders Big Building Bag, 80-Piece (Classic) $14.59 (1 – 2 1/2 years) – I still remember my son receiving his first set of award-winning Megabloks for his first birthday. It took him a little while to figure out (kids typically grasp block building somewhere between 12 and 18 months), but once he did he started building like a mad man and never looked back! All my mom friends and I love Mega Bloks for our youngest kiddos, even more than the classic LEGO duplos (although we did use both!). The locking mechanism is just a little bit easier for beginners to put together and pull apart. Plus the colors are beautiful and the zippered bag is very handy. Magna-Tiles $120 (2 – 12 years) – I discovered magna-tiles a few years ago and they were the big present under the tree for the kids. They’re definitely more of an investment, but have been totally worth it. The kids still play with them multiple days a week. Teachers absolutely rave about these blocks and the play possibilities are endless. Because they join together using magnets, kids can create elaborate structures (often taller than they are) without becoming frustrated by crashes. They’re also great for use with other toys. They can be used along with blocks and LEGOs to make elaborate structures, with marbles and cars to make tunnels, bridges, and marble runs, or even with dolls to create doll houses. We splurged for the 100 piece set and got hours of rainy day fun with these. If you have the space/budget for a personal light table to use them, the translucent pieces would look fantastic lit up from underneath. Melissa & Doug 60 Piece Standard Unit Blocks $50.99 (2 – 15 years) – If I could buy my children only one toy, a large set of basic wood blocks like these would be it! They are the ultimate creativity toy – enough said. Bristle Blocks $34.92 (2 – 5 years) – The “fingers” of these blocks make them easy to join together and the perfect starter block for younger kids. When S was 2 years old, she especially loved them. We have the basic set but there was a spinaroo set at her toddler group last year that she beelined to every time we went. These are also great in the car or on a plane. Tinkertoy Pink Building Set $29.99 (3+ years) – Tinkertoys are a total classic (my grandparents had a set I used to play with whenever I would visit them as a little girl). There has been a lot of debate about whether pink and purple building toys are a good way to entice girls to build or to reinforce gender stereotypes. My stance is that you know your child best and you know what will work for her. If the color pink is the only thing that will entice her to start constructing, then go for it. If she just wants to build then get the gender neutral 100 Piece Essentials Value Set. Battat Take Apart Sets $20.21 and up (3 – 5 years) – I’m kind of in awe of these Take-A-Part kits (there’s an airplane, crane, 4×4 and roadster available). They combine C’s two absolute favorite activities: building and playing with things that go vroom. Plus kids put together their sets using a working power drill with 3 different bits. The reviews on this one are stellar and I’m totally sold! Plus, one of my mom friends got a set for her son last Christmas and said it was a big hit. Kids are sure to love the working drill that is used to take apart the vehicles and put them back together again. Educational Insights Design & Drill Activity Center $23.99 (3 – 8 years) – I like how this particular toy combines fine motor skills with pattern recognition AND adds a great dramatic play element. We got it for our son when he was 4 and he played with it quite a bit until his now 4 year old sister took it over. LEGO Ultimate Building Set $25.97 (4 – 12 years) – Around age 3 or 4 is a good time to transition from the duplo LEGOs to the standard size. This 405 piece set contains everything your little ones will need to start creating, including a building plate, minifigure, windows, doors, and wheels. It also has a storage container and building instructions for 5 models as well as photo inspiration for 25 more. K’NEX 375 Piece Delux Building Set $16.21 (6 – 14 years) – My son spotted this at a consignment store shortly before his 5th birthday. When I went back to get it for him the very next day, it had already been snatched up – a sure sign of a good toy. K’NEXs have been around for a long time and with good reason. If your child loves LEGO, this is a natural next step for him or her. The pieces offer lots of flexibility and many of the guided builds have dynamic, moving parts. This set includes a variety of builds including a Ferris Wheel, helicopter, train, etc. I also love that they have an entire educational line of sets that teach specific scientific principles such as the Intro. to Simple Machines: Gears and Intro. to Simple Machines: Levers and Pulleys. LEGO Creator 3-in-1 Kits starting at $11.24, (age varies by kit, most start around 7 or 8 years) – This is another series of kits, much like the LEGO City collection with the difference being that each kit can be used to create 3 totally different things. My son thinks this is especially awesome and I did a lot of research to find the perfect set for his 6th birthday. 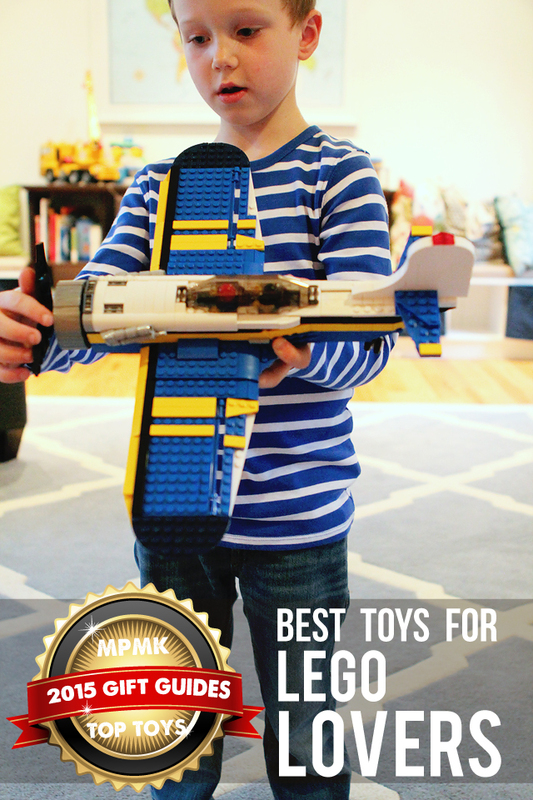 We settled on the LEGO Creator 31011 Aviation Adventure and we were not disappointed! The photos don’t do justice to the sheer size of this thing! That and the number of pieces involved in the build truly make this the next level in LEGO builds. Plus it actually has moving parts (pull back the landing gear to make the propellers move, slide the cockpit windshield back and up to insert and remove the two pilots, etc.). My son has been playing with it non-stop for weeks and he still hasn’t even gotten to the boat and helicopter he can build with this set. This toy has already given us hours and hours of fun and promises to give lots more – a great investment in my eyes. LEGO Master Builder Academy Kits starting at $32.00 (age varies by kit, most start around 7 or 8 years) – One of the things that impressed me most about The LEGO Movie was the emphasis on open-ended creativity through the “master builder” concept. So I was delighted to find that the “Master Builder Academy” series lives up to it’s name by offering kits that provide multiple builds but also amazing prompts to help kids create on their own. 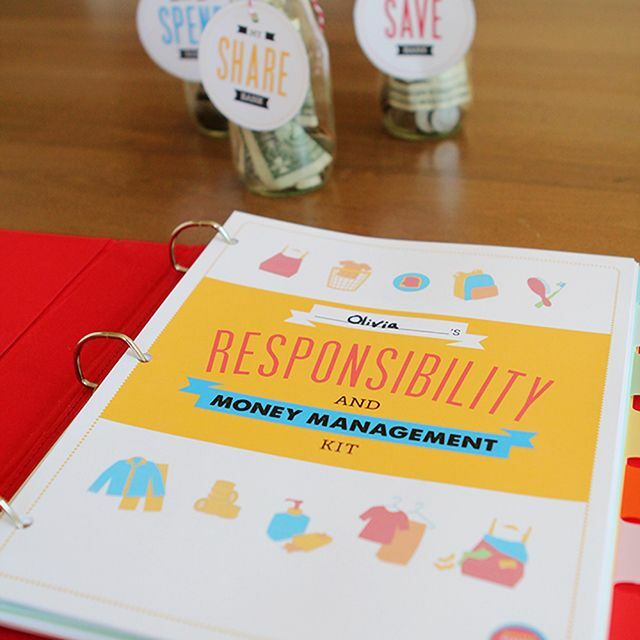 These extra special kits come with deluxe instruction manuals that teach technique as well as specific projects. I’m especially eyeing the LEGO Master Builder Academy Level 4 – Invention Designer kit which, while expensive, includes three 84-page Designer Handbooks teaching 6 LEGO Master Builder techniques. One reviewer wrote, “Once I opened this kit I realized how special this set is. This kit comes with 3 very nicely printed books (on high quality stock paper) with detailed instructions and techniques for building different creations. I also learned that in addition to the 11 different items you can build, you can also unlock/download 22 ADDITIONAL instructions (from LegoMBA.com) to build even more items including vehicles and architectural structures! That was a huge, pleasant surprise for me! What other set can give you 33 different builds in a single box?? ?” In addition to the special manuals, each of these kits also comes with an access code to members-only online LEGO Master Builder Academy content (mentioned above), featuring additional tips and building instructions, special videos and technique demonstrations, skill tests and fun activities, and a gallery for kids to show off their own custom creations. Tobbles $24.26 (babies and young toddlers) – Even though these aren’t traditional blocks, they top our list because they prove that babies can be builders too. These weighted spheres are fun to stack, tilt, spin, and wobble. Queircetti Tubation $19.15 (2 – 7 years) – I was made aware of this pipe-like set when I asked our facebook fans about their favorite building toys. They get rave reviews and one clever reviewer on Amazon suggested briging them into the bath to extend the fun. WEDGiTS Deluxe Set $29.50 (3 – 7 years) – I once talked to the owner of a local toy store about them for over 30 minutes. He couldn’t stop raving about what great, open-ended building toys they are and he totally sold me on them. If you have younger kids around, get the Wee WEDGITS (1+ years) – they’re softer and don’t hurt when stepped on. For bigger kids, be sure to spring for the design cards to help extend the quiet time play even more! Imaginets $26.22 (3 – 6 years) – These flat building toys promote fine-motor skills, visual thinking and are great for travel. They can be used along with the included pattern cards or open-endedly to make limitless new creations. HearthSong Domino Race Set, 255 Pieces in Bright Colors and Fun Patterns $49.98 (4+ years) – I wasn’t sure whether to include this here in the construction & building gift guide or our in S.T.E.M. gift guide, so I put it in both! These brightly colored wood dominos are a retro toy that are as good for building creativity and critical thinking skills today as they’ve ever been. This set includes brightly colored and patterned pieces along with a few extras like ending and starting gates, pyramid steps, a bridge set, and a carrying case. Would-be engineers of all ages will spend hours setting up chain reactions all over the house. Music Motion Marble Railway $79.74 (4 – 15 years) – This award-winning toy combines classic block building with both music and a marble run. set is crafted with heirloom quality birch and rubber wood with metal xylophone keys for long-lasting musical marble fun. Hape Toy finishes are all non-toxic, child safe and this set can be combined with other Hape Marble Run sets as well. These toys do a great job of giving kids practice building something that can be used for dramatic play: cars, airplanes, and even doll houses. When they’re done, the toys can be taken apart and stowed away to be re-constructed and played with again another day. Automoblox $35.22 (3 – 6 years) – These have been a favorite at our house for several years. Part racing toy, part building toy, they’re pretty much irresistible to both my son and daughter. I recommended them for socking stuffers in the past and their flying machine counterparts, Manhattan Toy Airplane Vehicle, are another way to extend the fun beyond the cars. New this year are the larger sized automoblox Rescue SUVs: the Fire SUV, Police Car, and Rescue Truck. Battat Take Apart Sets $20.21 and up (3+ years) – I’m kind of in awe of these Take-A-Part kits (there’s an airplane, crane, 4×4 and roadster available). They combine C’s two absolute favorite activities: building and playing with things that go vroom. Plus kids put together their sets using a working power drill with 3 different bits. The reviews on this one are stellar and I’m totally sold! Plus, one of my mom friends got a set for her son last Christmas and said it was a big hit. Kids are sure to love the working drill that is used to take apart the vehicles and put them back together again. Designed by You Doll House with Furniture $82.09 (3+ years) – Whenever I make a big toy purchase for my kiddos, I obsess about it a bit. I research (a lot) to find the train table, play kitchen, etc. that’s not only going to hold up the best, but will also offer up the most beneficial play experience. When my daughter indicated that she wanted a doll house for her birthday last year, my research led us to purchase this one and we’ve been really, really pleased with it. The rooms are easy to access and it came with a bizillion pieces of furniture that both my son and daughter use for lots of dramatic play. What I love most about it, though, is that instead of one permanent structure, the house is modular and can be reconfigured a bunch of different ways. This really extends the kids’ engagement. I would recommend this for both boys and girls (if hubby gawfs at buying your boy something pink, just paint over those two walls with chalkboard paint to add to the fun). Superstructs BIG Builder $32.05 (4 – 8 years) – My son got these for his 4th birthday and loves them. The set, which kind of resembles larger and more durable tinker-toys with a few more bells and whistles, comes with instructions on how to create several working vehicles. C’s favorites are the forklift and tow truck. He’s amazed at the working parts of his finished creations and I was blown away that he could follow the visual directions and put most of it together all on his own at 4 years old. Magformers Cruisers Car Set $43.96 (5+ years) – A friend from toddler group recommended these to me when I mentioned what a big fan we are of magna-tiles. They work in the same way but allow builders to create cars of various design, including classic cars, wacky cars, space cars, underwater cars, dragsters, and hot rods. Erector Super Construction Set $44.99 (6 – 14 years) – The age range on this set is actually 8 – 14 years but our son got his first Erector set at age 4 and loves building these creations with his dad. This highly-rated and comprehensive set comes with a 6V battery-operated motor as well as 640+ parts and a handy carrying case. It can be used to create 25 different models. CAT Digger $85.69 (2+ years) – The aunties bought this for my son three Christmases ago, when he was 3. I have to say, I had my reservations. C of course thought an excavator that he could actually sit on, drive, and manipulate was just about the coolest thing ever but I was concerned about the space it would take up in our yard, especially with a non-rainy season of only about 3 months here in Seattle. What I failed to realize was the versatility of this toy. Yes, it’s awesome for digging in the sandbox or bark in the summer, but it’s also great for picking up leaves in the fall and snow in the winter (see here). This thing gets played on year-round and is often the one of the main things that lure my kids out to play on a rainy day (they put out buckets to collect the rain water and use the bucket shovel to scoop it out). This one’s definitely a big ticket item but return on investment is high. Green Toys Tool Set $19.59 (2+ years) – A tool set is another “must-have” toy in my book. They’re fantastic for dramatic play (my kids love finding new things to “fix”) all by themselves. Add in some working nuts and bolts and you’ve got fine motor practice to boot. We bought a wood tool set for C and have been happy with everything except the durability, so far we’ve had a wrench and pliers snap. I think this set from green toys would be a lot more durable (there are sets available in blue, yellow, and green or brown, red, and blue as well). Melissa & Doug Wooden Project Workbench $61.17 (3+ years) – If you’ve got a serious tool lover in the house, and have the space, this deluxe tool bench is another great option and the price is pretty good when compared to dramatic play toys of similar size, such as play kitchens and stores. No building toy roundup would be complete without an entire section devoted solely to LEGOs. Now that we have a bonafide school age old boy in the house, we are becoming more and more familiar with the almost magical pull of this iconic toy – as well as the myriad of options available. LEGO Duplo My First Set $24.14 (18 mos – 5 years) – A great introductory LEGO set. Larger bricks are easier for young children to manipulate and it comes with a handy storage case – every child should have a set of either Duplos or Mega Bloks. LEGO Juniors Sets starting at $9.99 (4+ years) – I’m so happy that LEGO came out with this series as it’s a great way to help kids transition from Duplos or Mega Bloks to standard size LEGOs. Each set comes with smaller builder projects, easier to follow directions, and a reusable storage container. They’re just the thing to help your child to dip his or her toes into the LEGO pool. They’re one of my go-to 4th birthday party gifts! LEGO City Kits $6.36 – $116.95 (4 – 12 years) – I used to think the LEGO kits were more for school-aged kids. Until my son received a few for his 4th birthday, that is. I was absolutely astounded to witness him sit down with his first LEGO City Kit and spend about an hour putting it together COMPLETELY BY HIMSELF. Seriously, these kits come with like 50 steps and ridiculously small pieces but that didn’t phase him one bit. Since then, he has curated quite the collection of these kits and I even snuck him into a week long LEGO summer camp last year even though he didn’t technically meet the age requirement for another 2 months (I know, I’m bad to the bone). LEGO Friends starting around $23 (4 – 12 years) – Like with the pink tinker toys, when I first heard LEGO was coming out with LEGO friends (a dramatic play themed version of LEGOs for girls) I was a bit torn. On the one hand, girls can – and do – play with regular LEGOS, they don’t need to be pink and purple! On the other, it’s not such a bad thing that toy manufacturers are developing products aimed specifically at girls that build STEM (science, technology, engineering, and math) skills. In the end, I decided I’m for it just as long as no LEGO stilettos or hair extensions enter the picture but my 3 year old daughter loves the original LEGOs and that’s what we’re sticking to so far around here. UPDATE: around age 4 my daughter started asking why none of the LEGOs came in pink or purple so we bought her a LEGO friends set and she was thrilled. LEGO Minecraft $32.79 (10 – 15 years) – I admit, this one is a little beyond where we’re at right now but I have certainly heard of Minecraft and how incredibly popular and addictive it can be amongst kids (and adults) of a certain age. This 450 piece set takes the phenomenon from the screen and puts it into your child’s hands. P.S. See all 10 of our 2015 Gift Guides here. P.P.S. Looking to simplify and connect more? We can help! 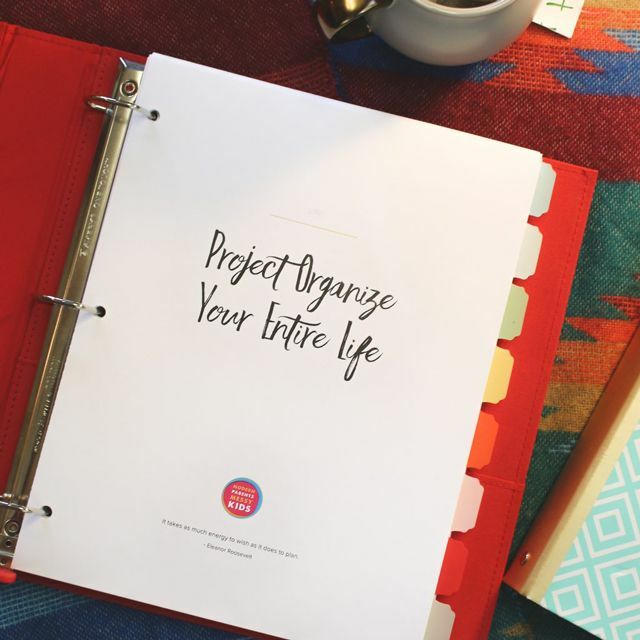 Check out our organizational eBook and printables pack – buy both and save 71% on the eBook!